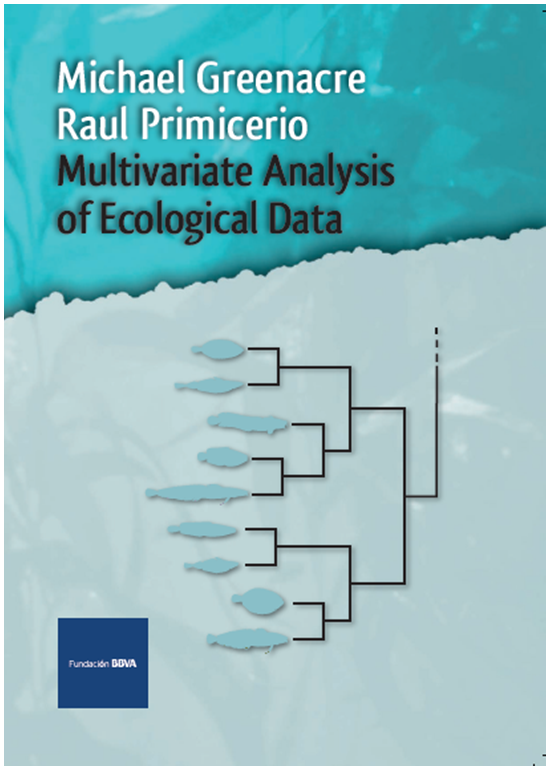 My latest book is on analysing multivariate data in ecological research. "Multivariate" means consisting of many variables, which is important since biological diversity is the product of the interaction between many living species, as well as the many factors that characterize the environment in which the species live. Multivariate Analysis of Ecological Data is a comprehensive and structured explanation of how to analyse and interpret ecological data observed on many variables, both biological and environmental. Written with Raul Primicerio, from the Unıversity of Tromsø, the book is available for free download at the website www.multivariatestatistics.org, thanks to the publisher, the BBVA Foundation in Spain.